I know the first "official" day of summer is June 21st, but in my book summer has already arrived! When I think back to childhood summers, I think of the pool, hanging with lots of friends/family, and just having fun! I want my kiddos to have great summer memories too. 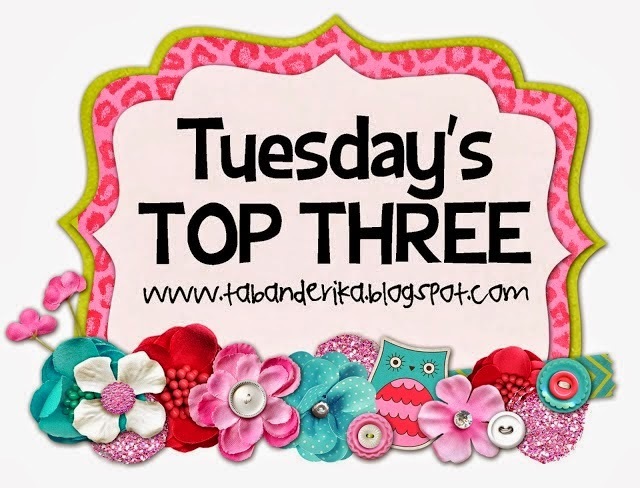 So, today I'm sharing my top three ideas for fun with your kiddos this summer. I searched and searched Pinterest for fun preschool-age ideas and these are my very favorite. Now, keep in my mind my three ideas COULD be the pool, mall play dates, and story time at the library. Those are things the Slaughters love! But...I'm trying to give you some NEW ideas! 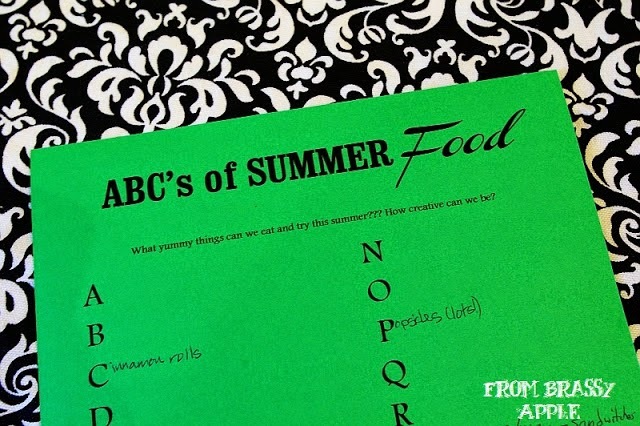 All summer long you work on eating or trying some type of food that starts with each letter of the alphabet. Your kiddos would love this...go get snow-cones one day for "S", or meet your friends for a pizza lunch date for "P". You could head to your local farmer's market and try some new foods too! You know those SWELTERING hot summer days when you don't even want to leave your house?? This is the perfect activity for those days! 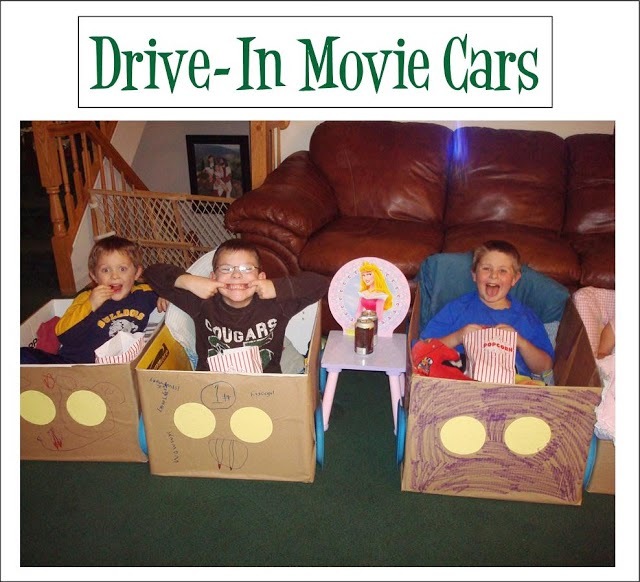 Let your kiddos make pretend cars with boxes, paper plates, and construction paper. Rent a movie from Redbox or Netflix, pop some popcorn, and pretend like they're at a drive-in movie!! You might even want to invite some friends over! What friend wouldn't want to be invited to a drive-in movie? How fun is that??!! My friend, Sarah, lets her kiddos do this all the time and they love it! 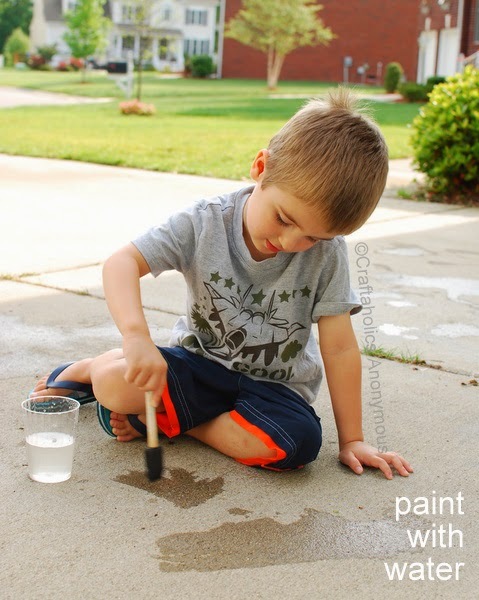 Give them a cup of water, a paintbrush, and a sidewalk! My kiddos (especially Nixon) would be ALL over this!! I'm adding it to our to-do list right now! Using a piece of gutter (from Lowe's), you turn the water hose on and let the kiddos have a morning or afternoon full of boat races. 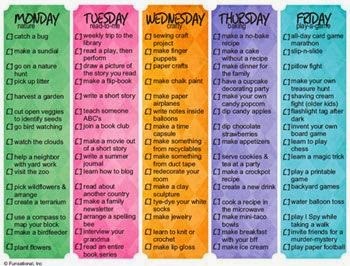 Love the idea of this...each day of the week has a theme. Monday is nature, so there are lots of ideas involving nature like watch the clouds, catch bugs, etc. You could come up with your own ideas too. This would really help you be intentional about your extra time with your kiddos this summer. I also like this one too!! Our Instagram Challenge...in April I told you that we wanted to up the stakes and let people vote on the best IG post from our challenge. Andrea and I had so much fun choosing our favorite Instagram posts from April and May. We both chose four pictures and now we need your help!! Take a look at the entries and vote for your favorite IG pic. To vote, just leave a comment on my blog stating which picture is your fave. You can also go to Andrea's blog and vote there too. That will count as two votes. If you're one of the finalists, rally the troops and send your people over to vote for you!!! The winner will receive a basket of mine and Andrea's favorite things!! Thanks to everyone who has been participating in our challenge!! Good luck to all the finalists!! And...we decided to take a break from our photo-a-day challenge, but this summer let's all use the hashtag #thesummerchallenge2014 to share all the fun you're having this summer!!! Remember vote for your favorite by commenting!! Thanks for participating!! Good luck finalists!! You can comment through the end of the day Friday. On Saturday, we'll post the winner on IG!! This is gonna be fun! #1!! gave me chills~ precious! First of all, I vote for picture #1 (even though they are all really good!) and second of all, I love your summer ideas!! I'm going to use so many of them this season! Great summer ideas, Erika! Picture #1 is by far my favorite - such a wonderful moment captured! Oh, and any way to participate in the IG challenge if your Instagram account is private? I'm cvannahmen. Love your summer ideas. I see an indoor movie night in our future. I also am curious about participating in the challenge if you have a private instagram account. #public school teacher problems. My vote is #1!! I loved them all though! What fun ideas for summer! I'm going with #6! All of them are great but Picture #1!!! I might need to go back to the eye doctor because I seriously read that first picture as "the ABCs of summer, fool!" Need more coffee. #1 definitely!!! I love service member family reunions. #1 I am a military wife and moments like those are like no other!! I like #6! I coach baseball, and rarely do you see moments like this on the ballfield! Such a sweet moment between father and son! And thanks so much for choosing my photo! Of course I vote for #7! Thanks again Erika! That rat tail is pretty classic, but I'm going with number 1! It looks like no one agrees with me but I love #5. That girl is precious. Picture #1....the others don't even come close! #1- such a sweet picture! I love them all! :( loved number one though. And number 7! Love the soap boat race idea!! 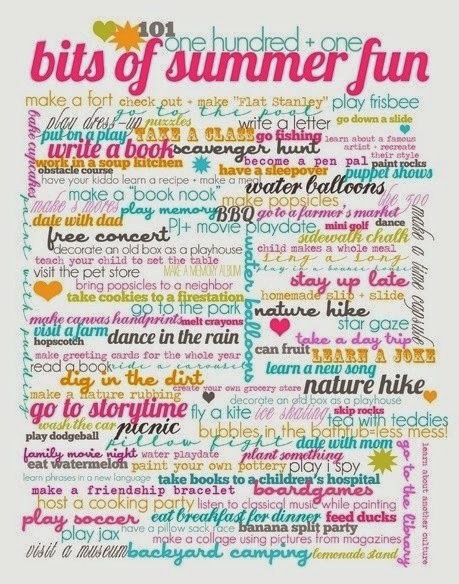 Love these summer ideas!!! I vote #7!!! #8 Special moment captured of some special ladies. So, so hard to choose!! They are all great! Funny, sentimental, etc. But I'm gonna go with #1!